This is a Model A Hubcap for standard 21 inch wheels. These Model A hubcaps fit both stock and our new Model A Ford wheels. 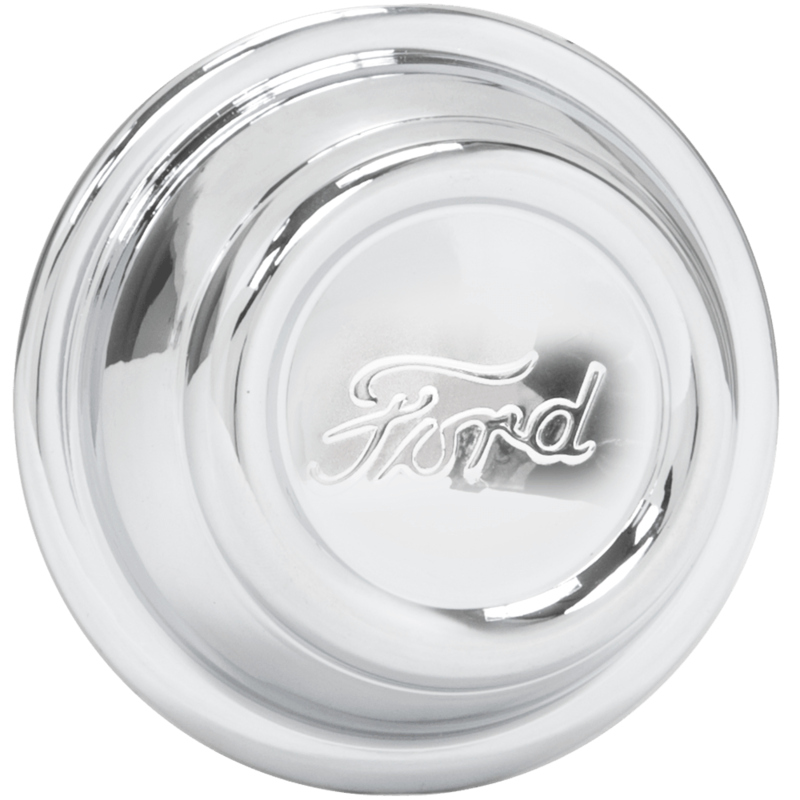 This Ford Model A hub cap is designed for the 21 inch wheel, please check your actual wheels required cap fitment size. 19 inch version is also available. what is the outside diameter and inside diameter of the 21 inch model A hubcap? These caps will not interchange. They are difference diameters and specific to either the 19" or 21" rims.